Here’s a coffee cartoon when I heard the finalists for the 2010 World Series. I pictured a Giant vs Rangers, but you have to picture the outcome! 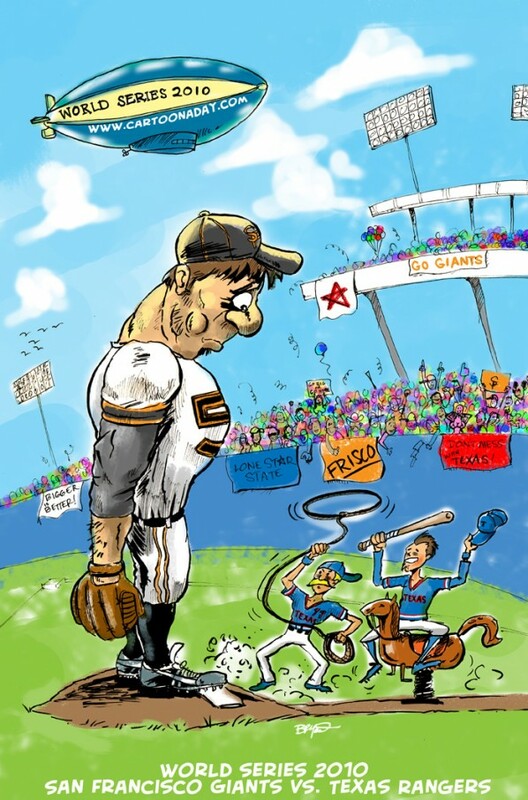 A cartoon depicting the baseball playoff World Series between the San Francisco Giants and the Texas Rangers.